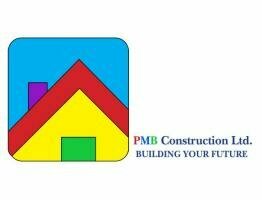 PMB Construction Ltd are family run construction contractors in County Offaly. We are expert builders in Edenderry with over 20 years experience constructing residential and commercial properties. PMB Construction Ltd are fully insured and C2 registered builders and you can expect high quality work, value for money and a professional service from experienced and knowledgeable staff. Always have a clear idea of what you want changed or improved before you contact a tradesman. By clicking "Send" you accept the Terms and Conditions of using the Trades Connect Website. What is your overall experience with this Tradesman?